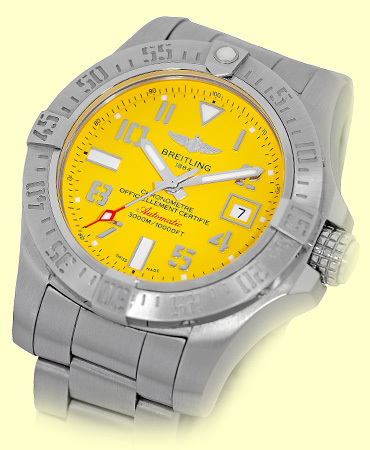 Gent's Stainless Steel Breitling "Avenger II Seawolf" Automatic. "Cobra" Yellow Dial with Luminescent Hands and Hour Markers, Steel Arabic Numerals, Center Sweep Second Hand, Date Indicator. Stainless Steel Unidirectional Bezel, Glareproofed Cambered Sapphire Crystal. 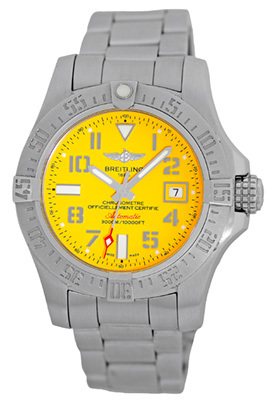 Matching Stainless Steel Breitling "Professional III" Deployant Clasp Bracelet. 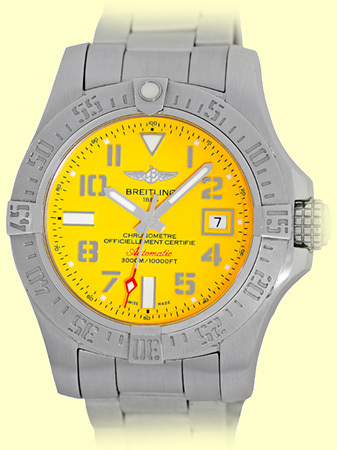 Plus EXTRA: Highest Quality Breitling Black "DiverPro III" Rubber Strap with Stainless Steel Breitling Tang Buckle. 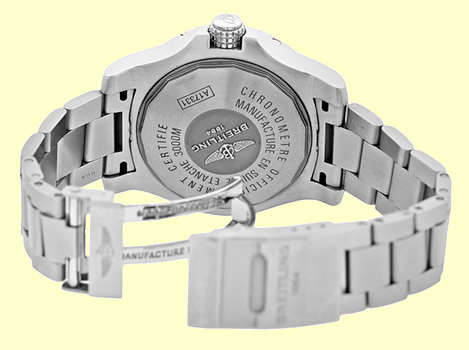 Handmade Swiss Chronometer Certified (COSC) Automatic Movement (Breitling 17). 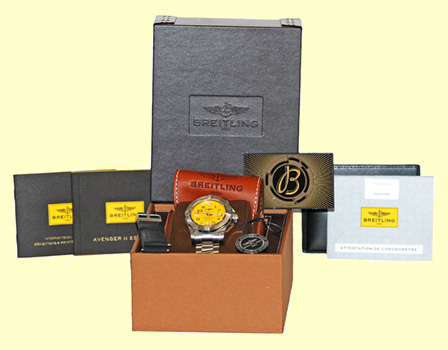 Like New, PERFECT Condition with Breitling Box, Booklets, COSC Papers, Digital Breitling Warranty Card(Dated 08/2016), Hang Tag, Plus Breitling Black "DiverPro III" Rubber Strap with Stainless Steel Breitling Tang Buckle and complete with Capetown's Lifetime Warranty! !